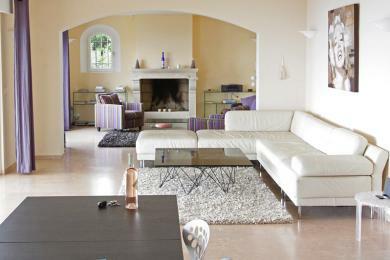 Luxury holiday villas in Grasse. 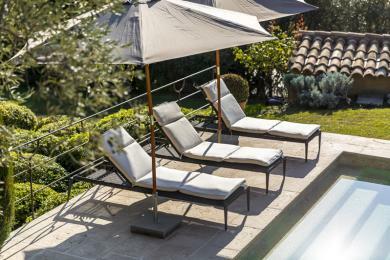 Most elegant bastide, surrounded by olive trees situated in Grasse, Cote d'Azur. Built in original Provencal style. This is emphasized by the large landscaped garden with many beautiful terraces and most charming sitting areas. Large private pool and a panoramic view. The house is elegantly and luxuriously decorated and furnished. This villa sleeps up to 10 guests. 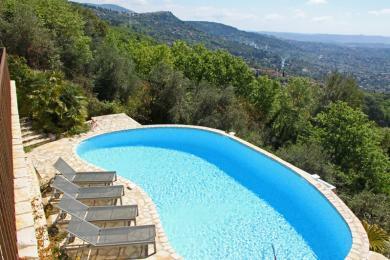 Luxury villa with private swimming pool in Grasse, Provence. The extent of accommodation make it a good choice for 2 families or for families with older children. The villa sleeps 8 guests.